Nationally Featured John Hyland, From SouthWest Cash Flow is to Appear on a New Television Show Titled: "Leading The Field"
“Leading The Field: World Class Experts Share Their Tips & Advice" is a one-of-a-kind ground breaking show that gives cutting edge advice on multiple industries. Consumers will get free tips and advice from world class experts. John Hyland, from SouthWest CashFlow wants to share his secrets in how they apply their knowledge in giving the best possible investment property service to every client through this new show. In five minutes I can help you evaluate a real estate investment and tell you if its the right investment for you. 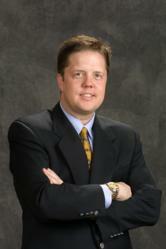 John Hyland is a real estate investment expert and Acquisition Manager for SouthWest CashFlow. John who was just nationally featured on CBS Money Watch, The Boston Globe, and the Business Insider is due to appear on the ground breaking show “Leading The Field: World Class Experts Share Their Tips & Advice”, in which he will be sharing his expertise in the field of real estate investment properties and his knowledge on running a first class business. John is excited to be collaborating with other leading experts and best-selling author Robert Vitelli, to provide consumers with insightful information into various practices and professions. John is excited to be collaborating with other leading experts and best-selling author Robert Vitelli, to provide consumers with insightful information into various practices and professions, via this new show 'Leading the Field: World Class Experts Share Their Tips & Advice'. John Hyland is a husband and father, who travels the country, to bring value to the communities that his company does business in. He has taught over 100,000 people nationwide how to obtain and sharpen their Financial Edge. His unique insights and time-proven strategies have made him one of the most sought-after speakers on Building and Managing Wealth. What makes John’s teachings so powerful are that they come from personal experience. With specialized lessons learned from over 1,500 property deals and daily growing within just the last 48 months, John continues to share with students the most current, calculated and actionable steps for achieving their maximum success potential. He is currently changing community’s one house at a time through his “Renewal Investing” programs. He has met every living H.U.D. Secretary and is putting into practice his vision for urban renewal. By using a method called clustering, he is able to move into an area and change a community for the better within a few short months. By providing housing for Veterans, and battered women, his programs help stabilize a community and provide quality housing and also build the tax base. The best part is, the investors that he brings to the table get a steady cash flow while their investments appreciate.